Crossovers are typically incredibly enticing in theory, as they allow two beloved series to come together, but rarely do they fully capitalize on what makes both series tick. Thankfully for Accel World VS Sword Art Online, developer Artdink didn’t have to worry too much about that as the two series, both created by Reki Kawahara, share a lot in common. They both deal with virtual reality, and explore how players interact within digital spaces. Making it even more of a perfect fit is the fact that the two series have been previously implied to exist in the same world, with Accel World taking place several decades after Sword Art Online‘s early stages of virtual reality. This action role-playing game ends up confirming they exist in the same timeline, as the two virtual worlds start to intersect with each other. In order for this to happen there’s some wacky time travel pseudo-science involved, but the end result has SAO‘s Kirito meeting a bunch of interesting characters in robotic suits. Despite the VS in the title, the two sides decide early on to work together in order to figure out what is happening to their respective worlds. This means that players will control characters from both series during combat, which builds upon the engine of Sword Art Online: Lost Song. 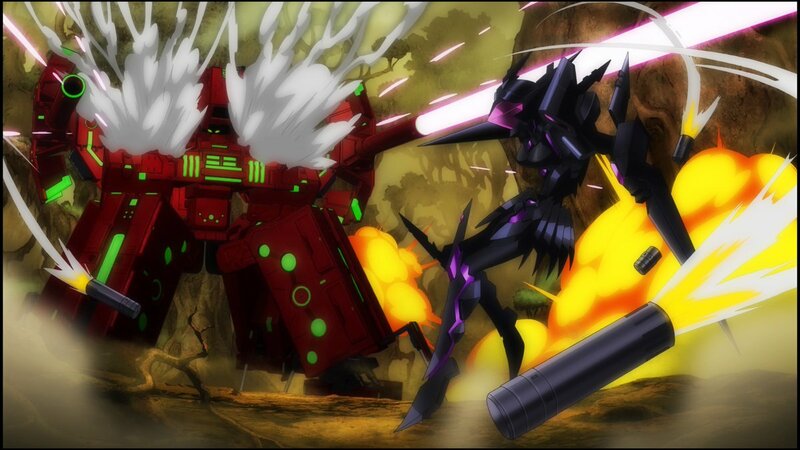 That means a lot of high-flying combat for the SAO characters, although the majority of Accel World characters (with the exception of the series’ protagonist Silver Crow) are left to fight on the ground. They’re still mobile enough to get round thanks to some incredible jumping skills, but there’s definitely an adjustment period when using different characters (which led to me having Silver Crow in my party the entire time). The combat, which has players mashing away on the square and triangle button to unleash combos while also micro-managing a bunch of special attacks on cooldowns, is enjoyable enough without breaking any new ground. There’s also just enough strategy needed that I always had to pay attention during battles. For the most part, the enemies in Accel World VS Sword Art Online can’t really stand up to Kirito and his crew of gaming veterans. Most of the standard foes that make up digital world of Alfheim are defeated with a few attacks, but that definitely isn’t the case for the game’s challenging boss fights. These tend to be antagonists from Accel World, and they offer up the most satisfying moments of gameplay within the game. In order to finish the game, I had to become comfortable switching between characters, using items during combat, and command my crew to get away from large attacks as my computer-controlled allies had a bad habit of standing right in front of huge beams of energy. It ends up providing a solid challenge, but one that never feels truly insurmountable. Sadly, in between battles is where Accel World VS Sword Art Online tends to struggle. Similar to past games in the series, it’s incredibly easy to get lost within the game world as the player’s objective isn’t always made clear. What makes this a rather baffling issue is that there actually are objective markers that are used in the game, although they don’t appear as often as they should. These navigation issues are made worse due to the in-game map being relatively featureless (several teleport areas aren’t marked), and meant that I had to spend several hours scouring the game’s different maps for what to do next. It wasn’t frustrating enough to make me want to stop playing, but it wasn’t a great experience as the environments aren’t all that interesting to explore or all that fun to look at. While the gameplay suffers from some of the same hang-ups that prior Sword Art Online titles did, there was one major factor that made this far more enjoyable than previous games. I’m talking about the game’s story, which constantly kept me entertained despite the fact that I’m not a huge fan of either series (although I do want to check out Accel World now). It doesn’t only deliver all of the fun exchanges one would expect between the two very different casts, but it also has a well told overall narrative that goes out on a fantastic ending sequence. I managed to beat the game’s main story within two days of play, and while I was content with what I experienced, there were still plenty of reasons to continue playing. One of the major reasons to continue playing is the game’s online play. It allows players to team up to battle powerful bosses (which can also be fought solo) or fight each other in friendly duels. The competitive multiplayer can either be done one-on-one or teams of players can battle it out (with a maximum of 8 players). I found the cooperative play more fun, as I was considerably more powerful than the other player I fought online, and it led to fights being over after I landed a few attacks. This isn’t built to be a fighting game, and it shows in execution. There’s also a ton of side content to go through. These range from the standard quests one would expect from a MMO-like game (gathering items, and killing a number of enemies), but there are also some more robust quests with some slight story added to them. There’s also an additional story chapter that unlocks after the game is defeated, and I had a blast playing through it. Finally, there’s a new game plus mode that’ll allow players to replay the story with their characters at the same level. I may be done with Accel World VS Sword Art Online‘s story, but there’s still plenty I want to do within the game. Any fans of Reki Kawahara’s work should definitely check out Accel World VS Sword Art Online. Not only is it the best playing Sword Art Online to date, it also has a great story that links the two world directly together. It all culminates in a fantastic twist ending that managed to finally get me invested in the world of SAO, which is something the previous games failed to do. It’s also helped tremendously by the addition of Accel World characters, as they immediately caught my attention. 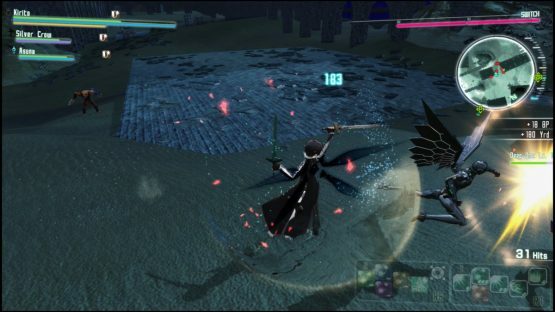 Review code for Accel World VS Sword Art Online provided by the publisher. Reviewed on PS4 Pro. For more information on scoring, please read our Review Policy here.